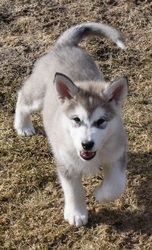 Ace is like his father a big clown, always with a happy attitude. 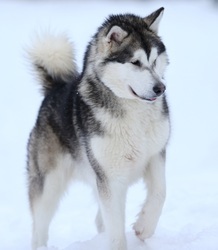 He has much happy energy and in the same way he has no problem to relax. 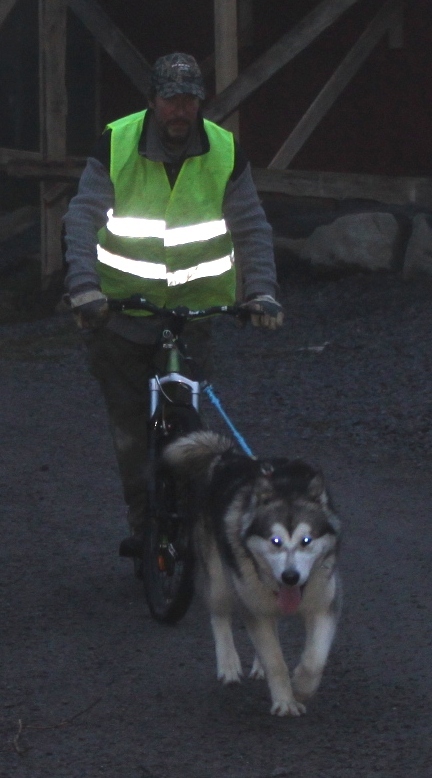 In the team he never cares about the other males. 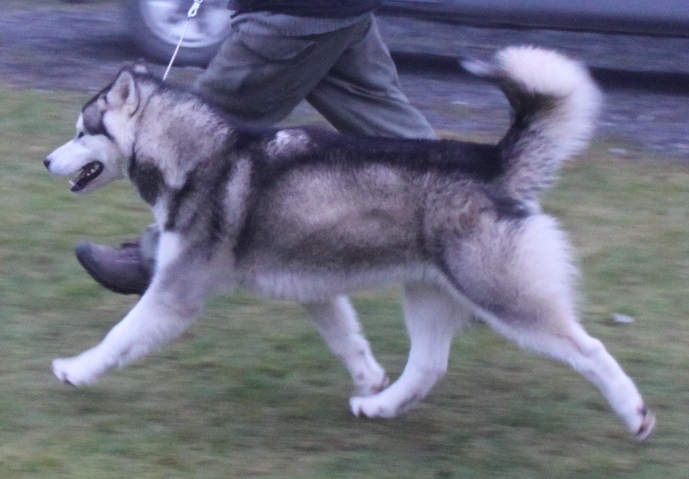 He has excellent workingattitude and is one of our absolutely best trotter, he can trott in very slow speed and very fast. 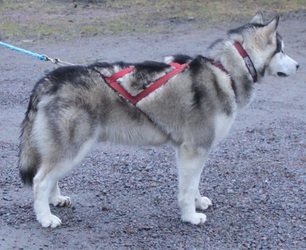 He really fullfills our hope with combine the best workingdogs (lines) we have here in our kennel and we also like his type. 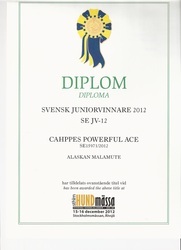 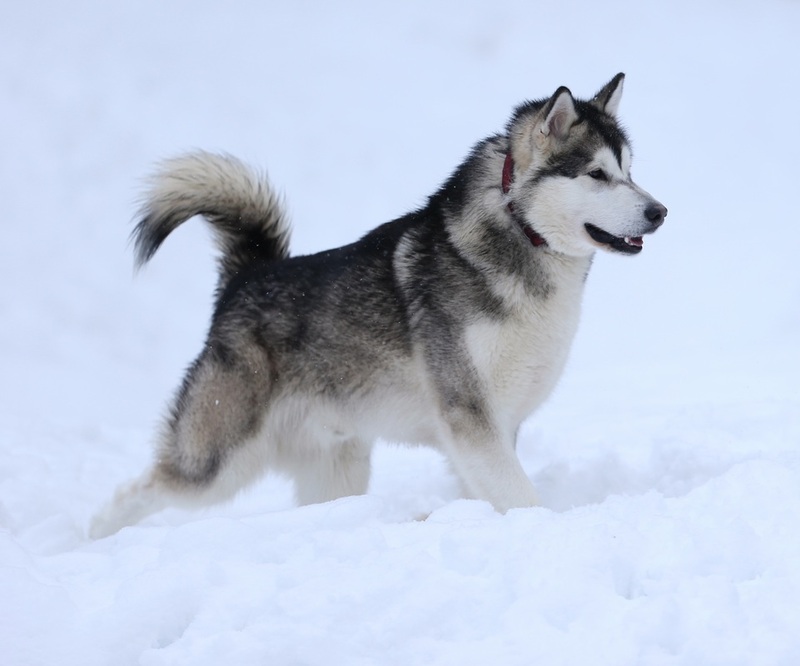 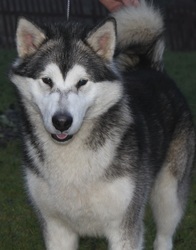 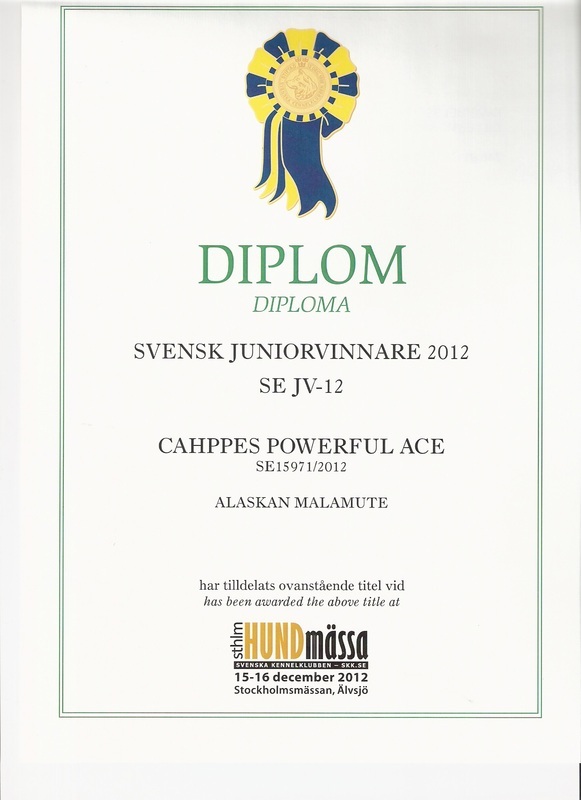 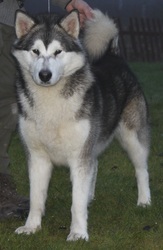 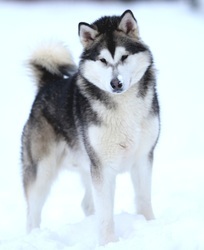 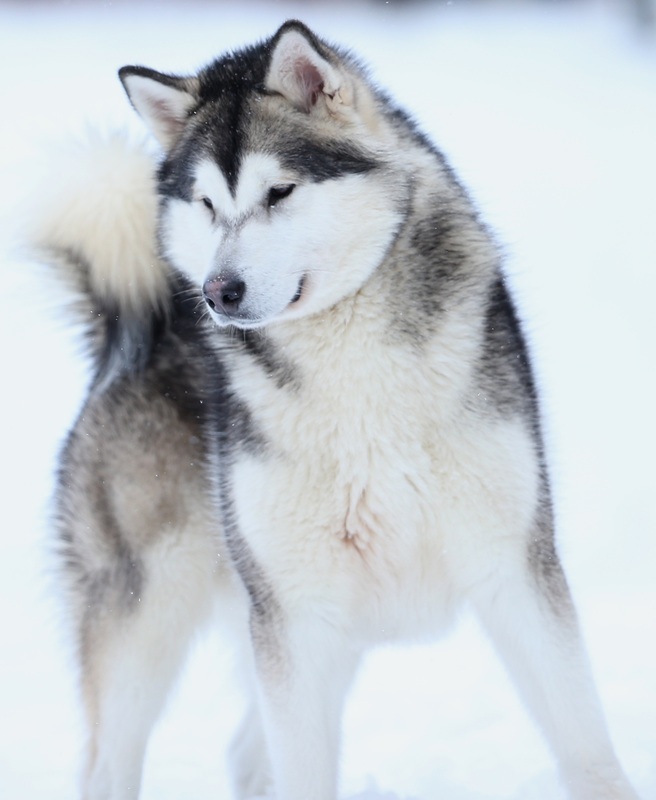 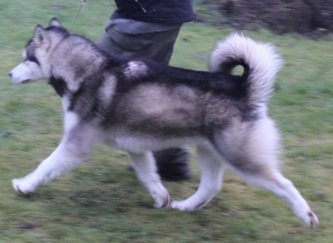 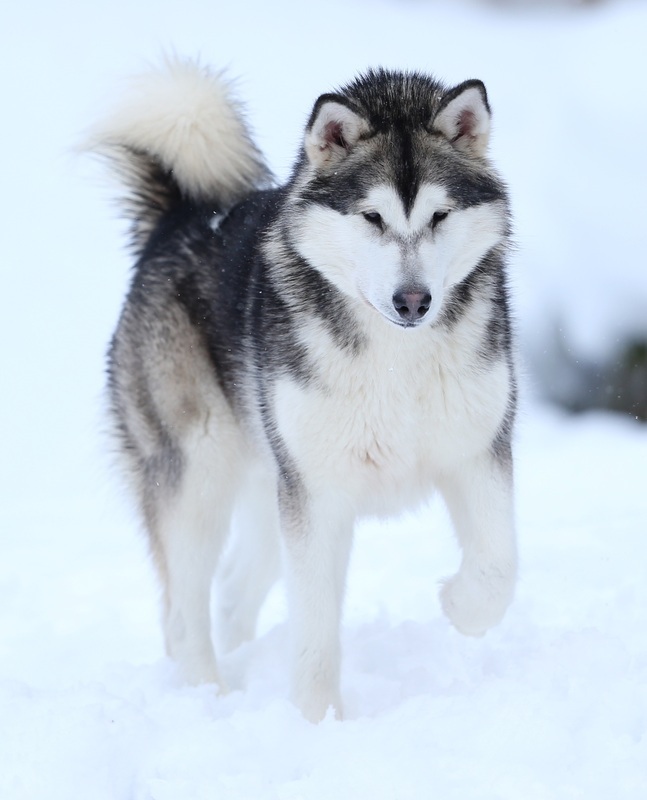 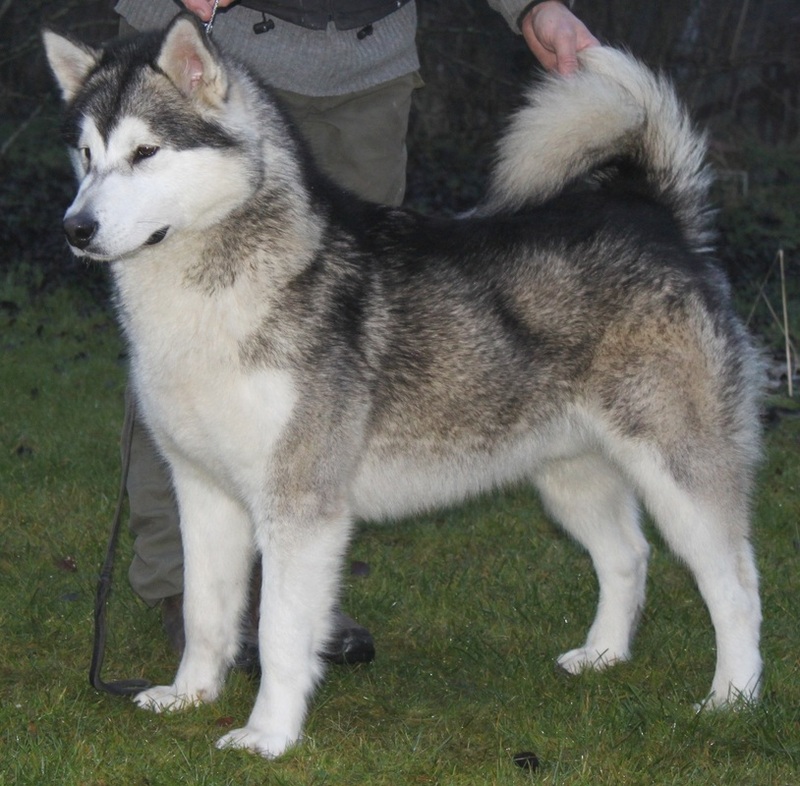 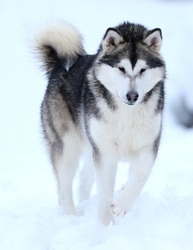 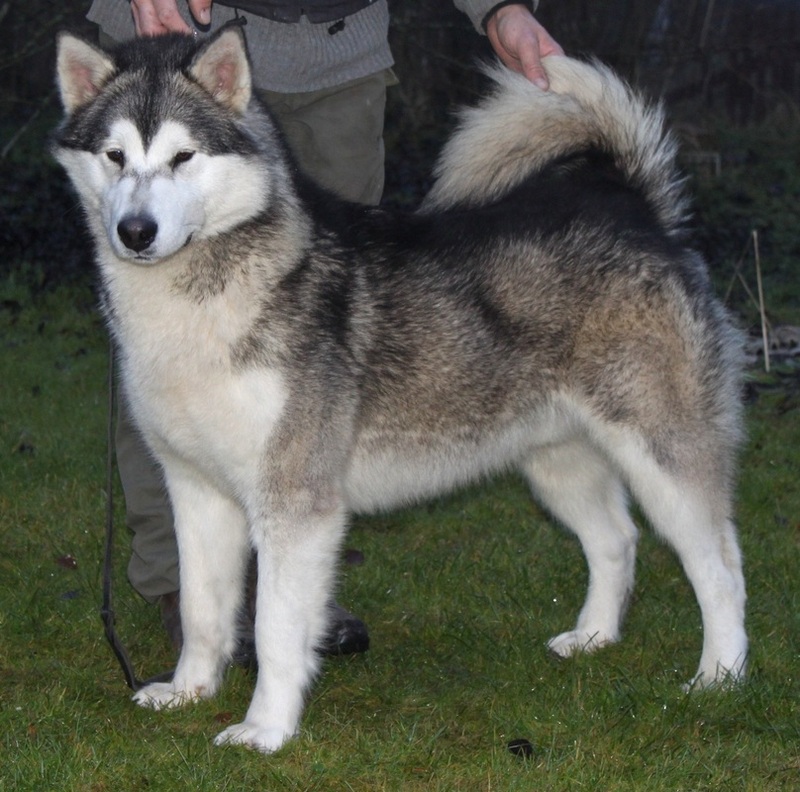 In the malamutespecial 2013 he was placed in best male and was rewarded "best head" even if he was still is so young. 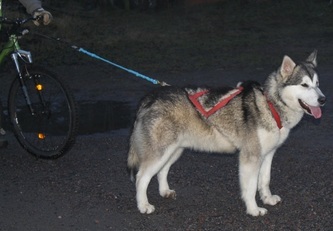 He has been placed in BIS and BIS workingdog on SPHK. He has good bite and full dentation. 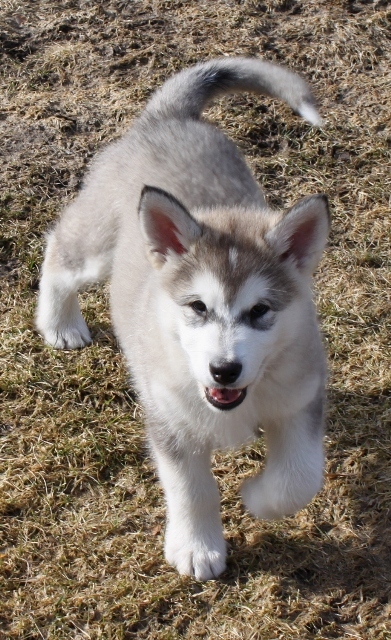 On the pictures here he is very young. 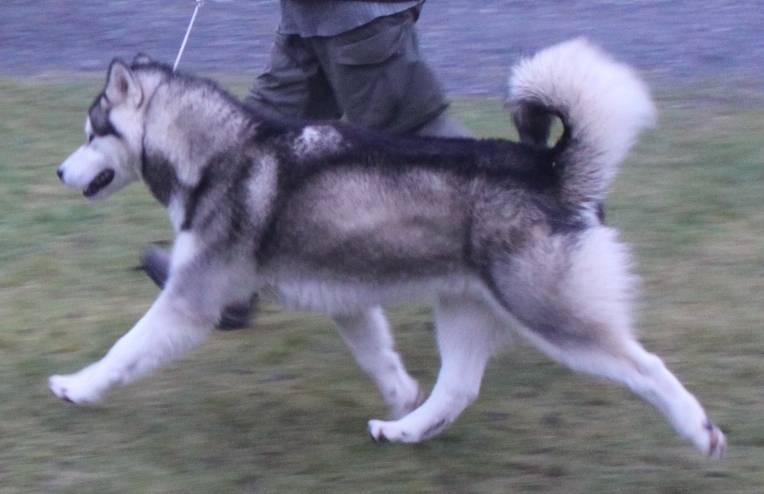 Ace is a little over mediumsize.